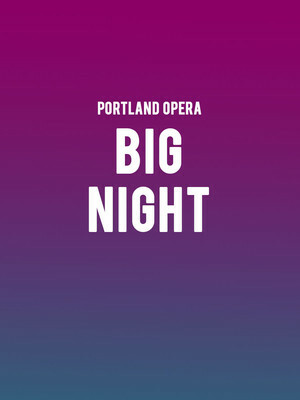 Why See Portland Opera - Big Night? For one night, and one night only, Portland Opera is taking to the stage to perform a 'greatest hits' selection of operatic favorites. 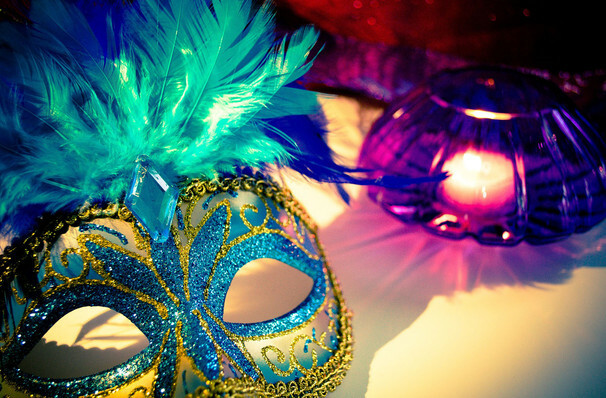 Conducted by Portland Opera's Musical Director, George Manahan, and hosted by General Director, Christopher Mattaliano, the Opera's very own orchestra and chorus will perform an evening of opera's most celebrated pieces at this red carpet event. Although the night itself is not an opera, the chorus and orchestra will light up the stage with excerpts from some of the most famous and best-loved operatic works to offer listeners, new and old, the opportunity to hear a range of operatic pieces from all over the world. The line-up will be revealed the night of the concert, along with an exclusive insight into Portland Opera's forthcoming season. This night of opera promises to be a very special one, indeed. Portland Opera has been performing opera for more than 50 years and is recognized worldwide for its outstanding musicianship. In 2003, Christopher Mattaliano was appointed General Director, and won critical acclaim during his first artistic season at Portland Opera. For the past six years, award-winning conductor, George Manahan has been shaping the company's direction as Musical Director. Sound good to you? Share this page on social media and let your friends know about Portland Opera - Big Night at Keller Auditorium. Please note: The term Keller Auditorium and/or Portland Opera - Big Night as well as all associated graphics, logos, and/or other trademarks, tradenames or copyrights are the property of the Keller Auditorium and/or Portland Opera - Big Night and are used herein for factual descriptive purposes only. We are in no way associated with or authorized by the Keller Auditorium and/or Portland Opera - Big Night and neither that entity nor any of its affiliates have licensed or endorsed us to sell tickets, goods and or services in conjunction with their events.